4WD the same as 4x4? 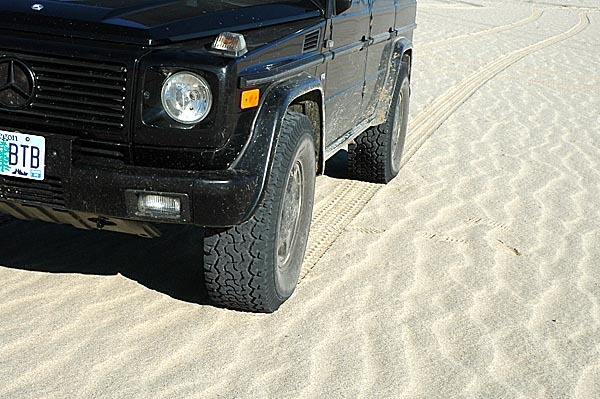 Here is another very valuable tip for driving in soft sand: Drive as straight as possible! 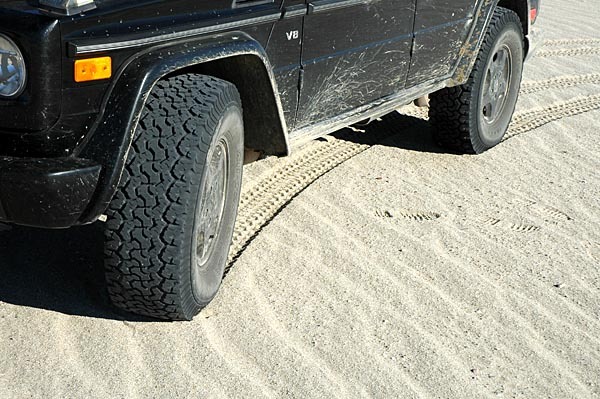 Driving straight makes the rear tires follow in the same already compacted sand channel the front tires have created. With the right (low) tire pressure you are just cruising along. By initiating a turn, the rear tires leave that front tire channel and each of them will now create their own rear tire channel and thus will have to fight a small berm of sand in front of each rear tire. That increases the resistance by 100%. Increasing the chance to get stuck. The tighter the turn the higher the resistance. This is valid even when you have deflated your tires to the recommended sand pressure.